Happy Tuesday! I feel like a really bad blogger, but life has happened and well, sometimes you take care of life. Let me give you an update on life and where I'm at, what I'm doing, etc. 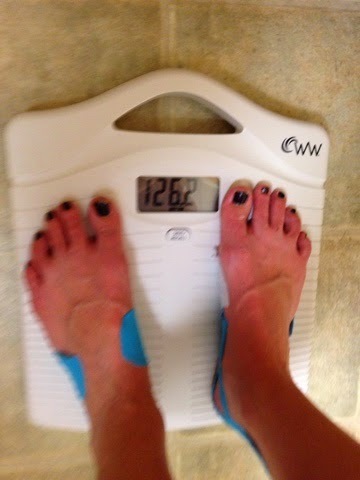 I'm in the 120's now and holding solid. Most people would be thrilled, but honestly I'm most comfortable in the 130's, so I'm working to try to gain weight back, but that has proven to be difficult for me. I have been doing weekly physical therapy 2x a week to help with my plantar Faciitis. They are using ultra sound, which helps, but it isn't going away. Ugh! 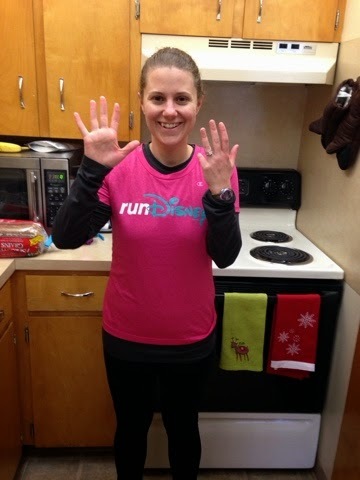 I ran 9 miles last weekend. This past weekend I haven't gotten any running in because I've been swamped with paper work, but I'm looking forward to a long run on Saturday. 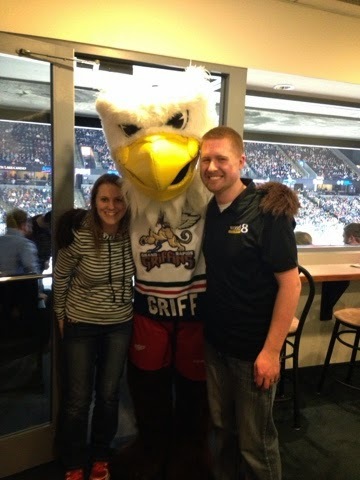 Friday night Drew and I went to a hockey game at the Griffins and were in a suite. Griff came to visit us and we just had a good time! Overall, things are crazy busy in our life, but we are moving forward. We've had some sad news, some happy news and a lot of mixed emotions in between. I'm so glad to return to my blogging!! Have Y'all been running? Whatcha up too? I'm with Mindy - take as many of my pounds as you want! Seriously though, you look great! We need to get together for a run one of these days. Holy cow girl! 126? That's great!!! !